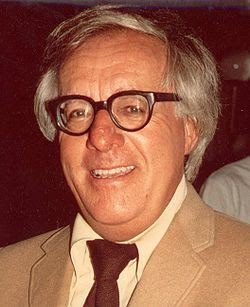 Ray Bradbury was arguably the most influential Science Fiction author of the 20th and 21st century. The world is a lesser place for his incisive commentary on our ever increasing conflict between technology and humanity. Part of the genius of science fiction — good, high quality, genre defying science fiction — is not as many people think, that it warns us of some horrific future dystopian world that may come to pass if we do not divert ourselves from the path on which we’ve begun to travel as a society. Good science fiction (or speculative fiction as Margaret Atwood sometimes prefers to call it) exposes the most horrific aspects of our own world that we have taken as normal or buried down so deep that these elements of our lives cease to terrify us because we deny they even exist. It is all the more chilling for what it shows us that is uncannily familiar and therefore uncomfortably close to our everyday lives already. The great American science fiction writer Ray Bradbury exemplified this in his prescient stories and novels. By his own admission, Farenheit 451 is more about the decimation of interest in literature by television than it is about censorship. How many of us, like Montag’s wife, have felt at times more emotionally invested in a television character’s life than our own? How many times have we seen the awful consequences of children being satisfied in all their material desires and being allowed to have an overflowing cup of the pleasure principle, as in ‘The Veld’? As has been noted so many times by so many critics, Bradbury was the accessibly science fiction writer. I love Isaac Asimov, but he is the domain of the Sci-fi nerd almost exclusively. Equally, I love the works of Kurt Vonnegut, but there is once in every reading of Vonnegut where I feel the joke has gone slightly over my head. Bradbury struck the right balance while still conveying sharp insight and most of all, capturing our fear of losing more and more of our dwindling humanity in our struggle with science and technology. Do check out Margaret Atwood’s lovely article on Bradbury in last week’s Guardian right here. Enjoy the short story, ‘There Will Come Soft Rains’ by Bradbury and check out the faithful film version of Farenheit 451.